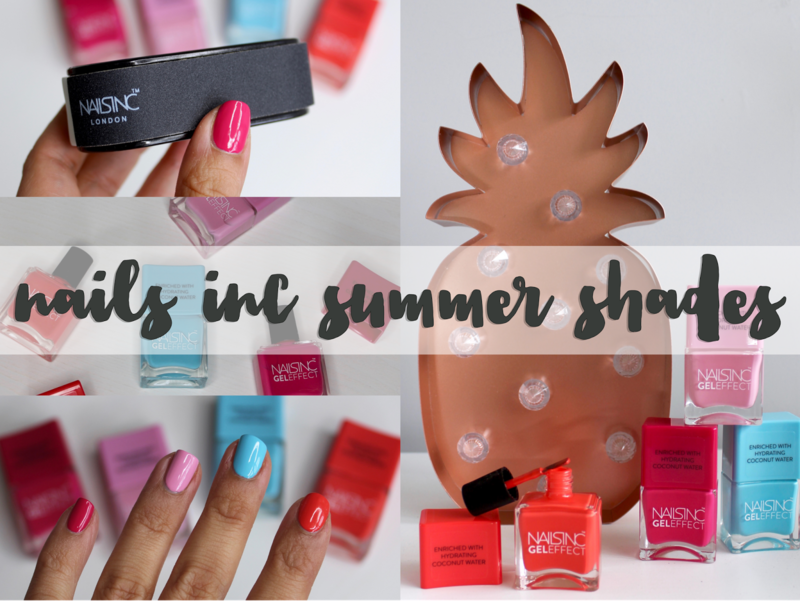 Of all the 'gel effect' polishes I've tried - and there are a lot out there now - these ones from Nails Inc are up there with the best in terms of giving a superbly glossy finish and a plumped look to the nail. 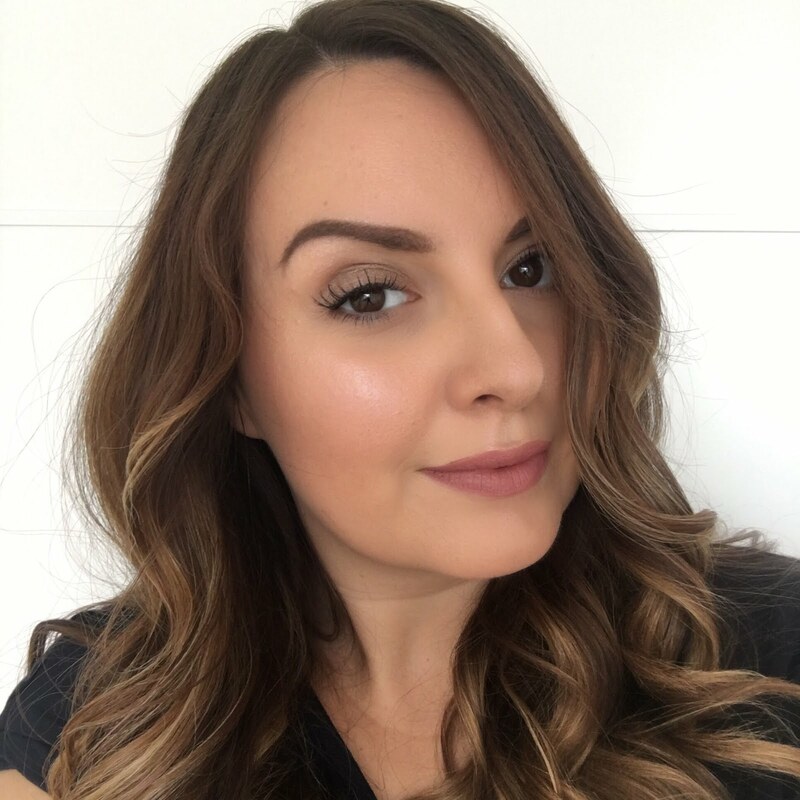 Also all four of these shades give a proper opaque coverage in just one coat, although I still apply two, probably out of habit more than anything! These are the four new shades in the Coconut Brights Gel Effect collection, so left to right there's hot pink Chelsea Grove, then a lovely baby pink called Soho Gardens, a super light and bright blue named Portobello Terrace and lastly Charlotte Villas which is a vivid orangey-coral. 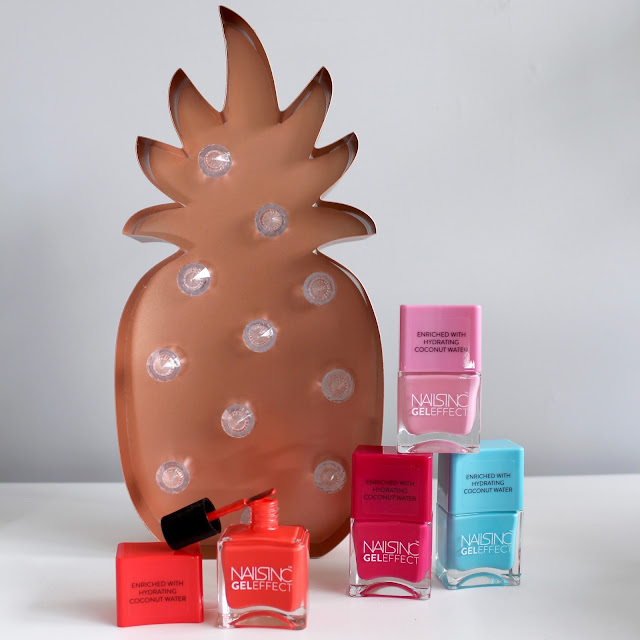 I love how they look together, but I've also worn three of the four on their own for a standard manicure so far too, and they give a really pulled together, salon perfect look with a really high shine. 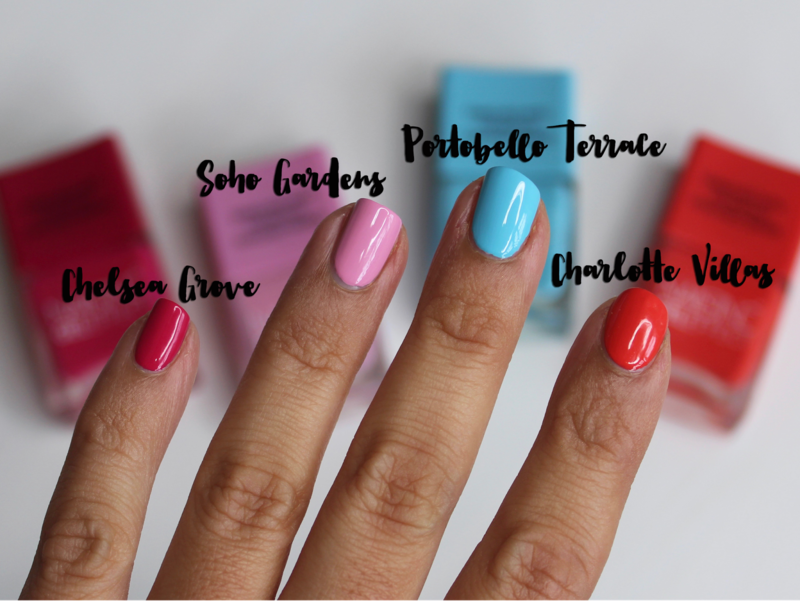 Soho Gardens and Portobello Terrace are my favourites to wear alone - they're such lovely bright colours for summer, and it's great to find paler polish shades which have really good coverage and aren't at all streaky. 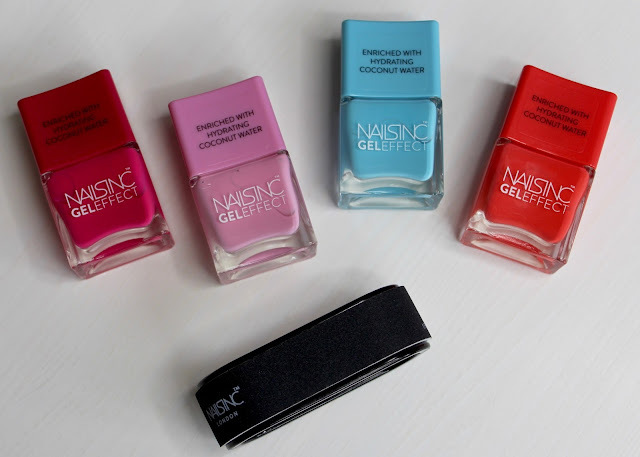 I've also been taking care of my nails with this Easy Filer Nail File. My nails really need TLC since I made a big mess of them with an at home Shellac. Basically I used the wrong kind of lamp and the gel polish peeled off taking some layers of my nail with it leaving me with quite thin and sad nails with a really rough and flakey texture. The smoothing side of this file has been really great to carefully restore my nails to a more even texture without taking even more layers off! 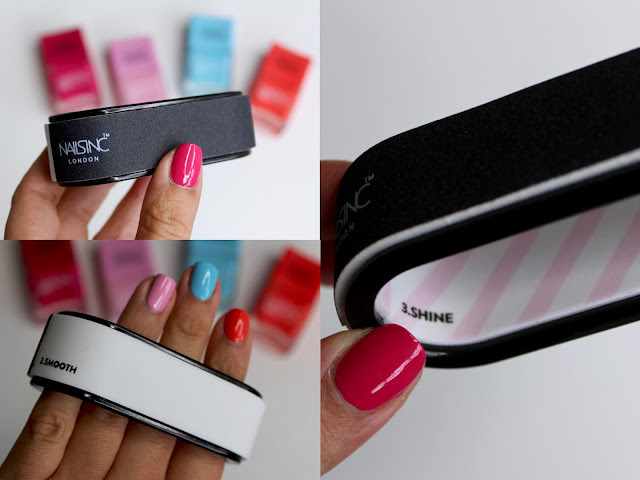 There's also a side with a regular nail file texture and one which will buff your nails to a natural shine. The shape and design of this is really innovative too and it makes it really easy to hold and use. The Nails Inc Coconut Gel Effect polishes are available now from nailsinc.com at £15 each and the Easy Filer Nail File is £6.